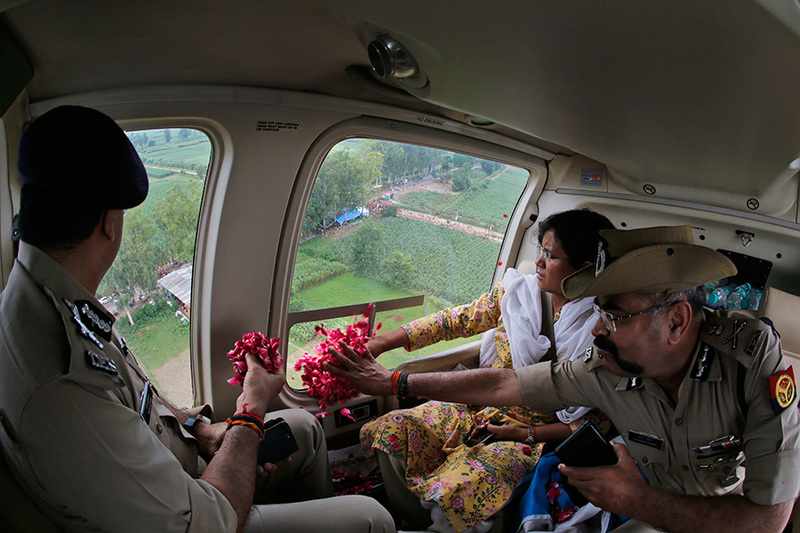 Government and police officials shower rose petals on Kanwarias from the helicopter near Meerut. 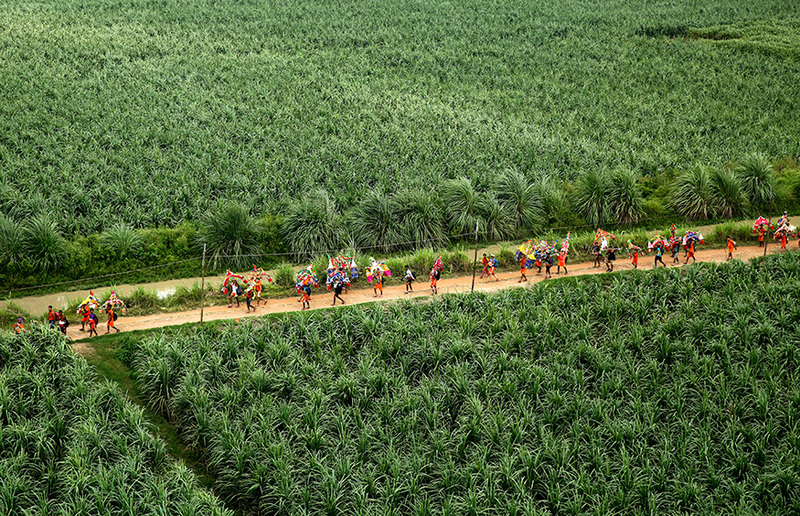 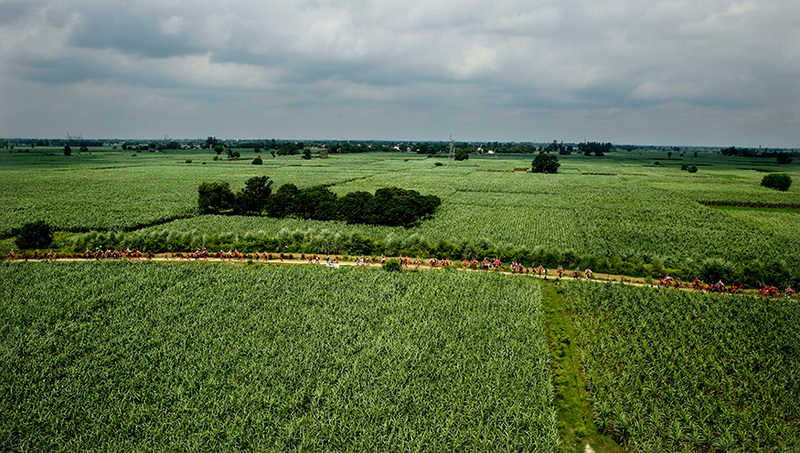 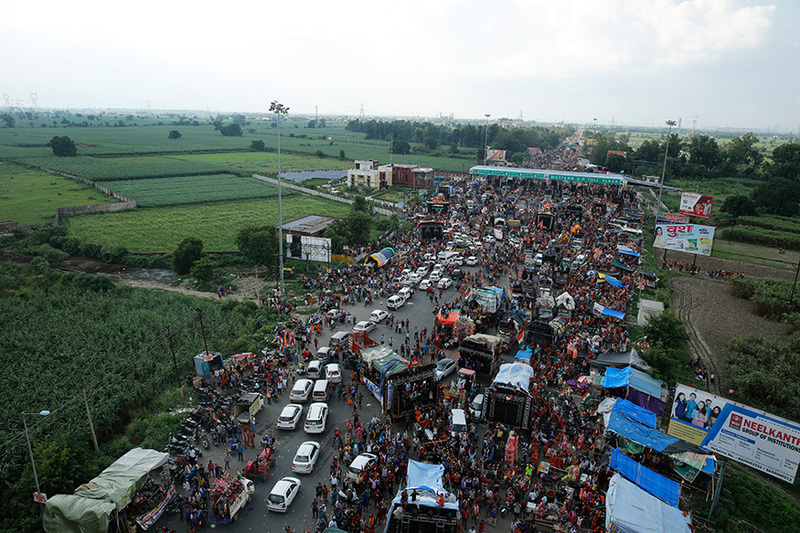 Kanwarias walk past sugarcane fields in a religious pilgrimage near Meerut. 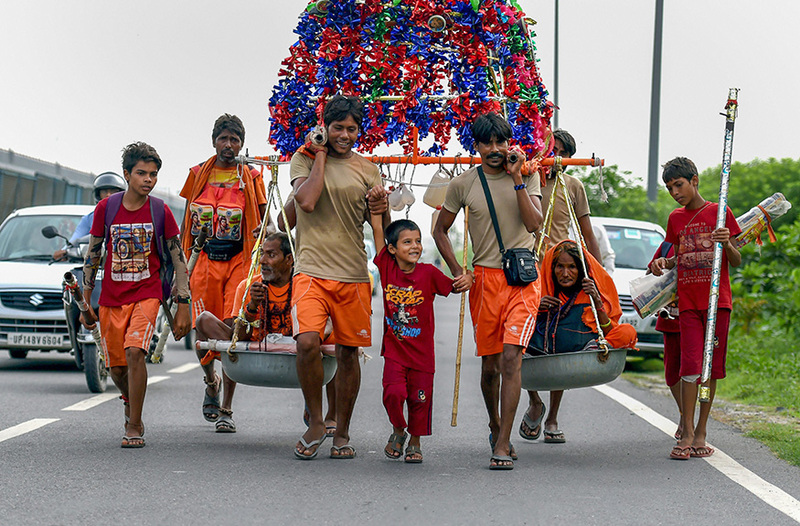 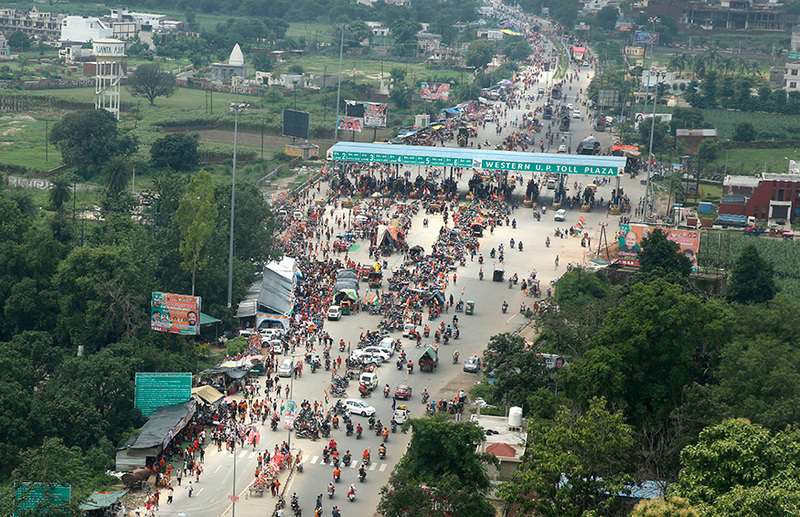 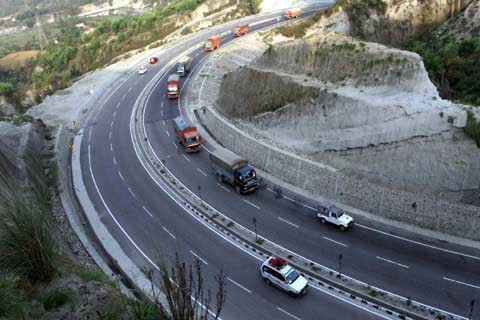 Kanwarias walk past a toll gate on a national highway during a religious pilgrimage near Meerut. 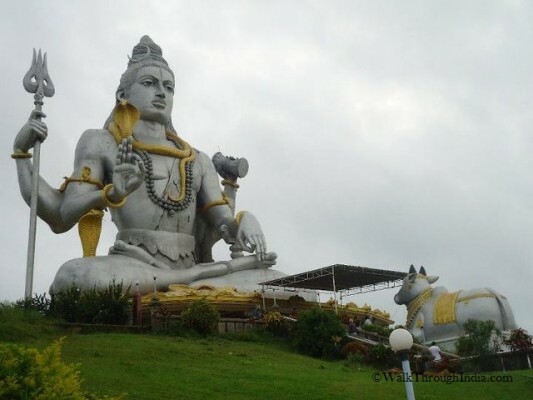 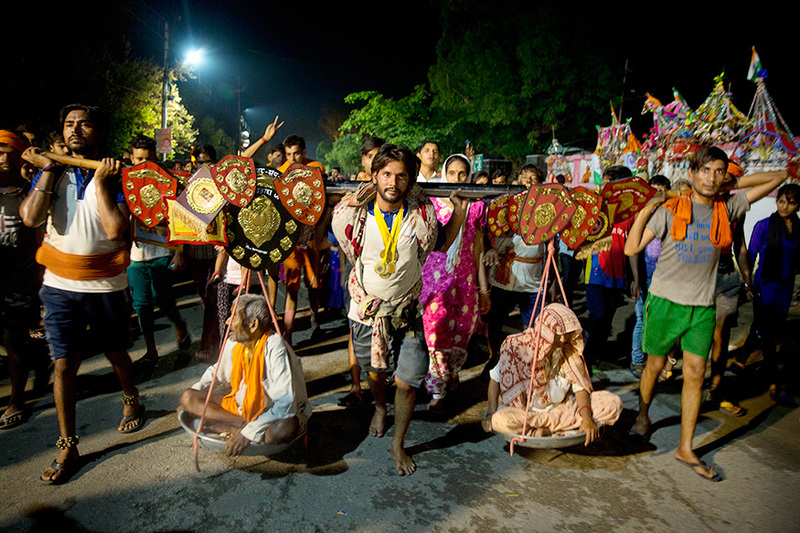 Kanwarias rest at Augarnath Temple near Meerut. 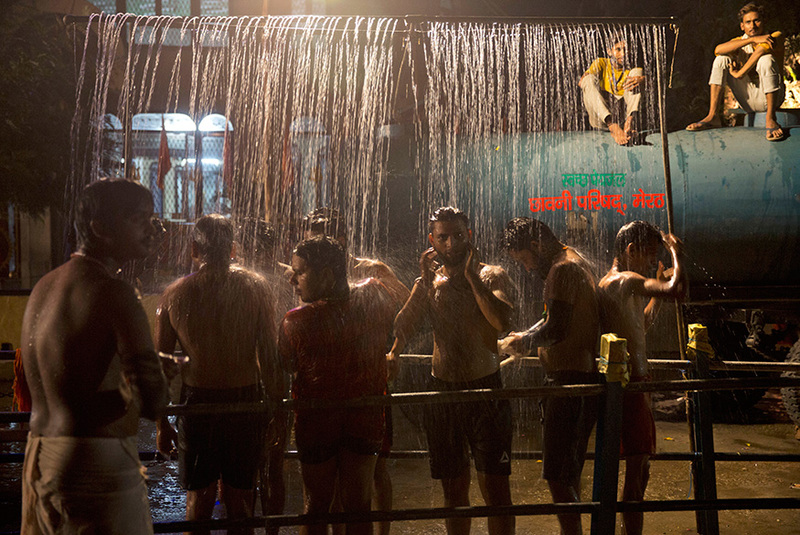 Kanwarias take a bathe at Augarnath Temple near Meerut. 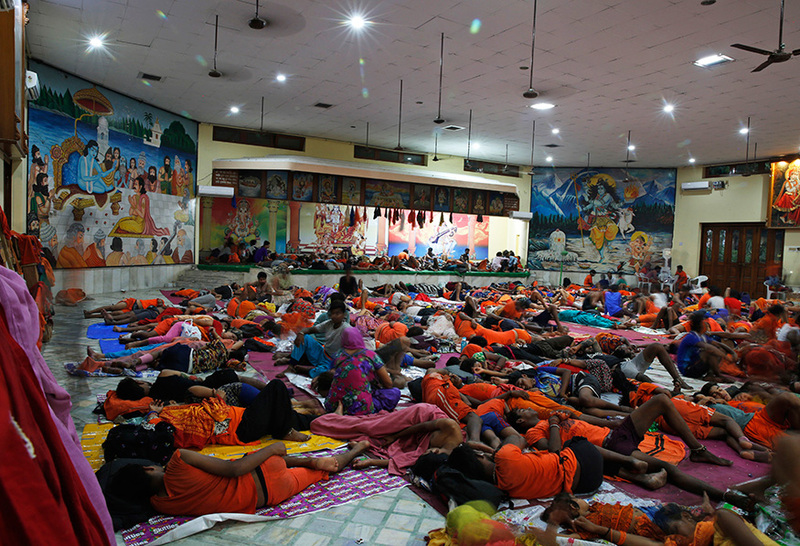 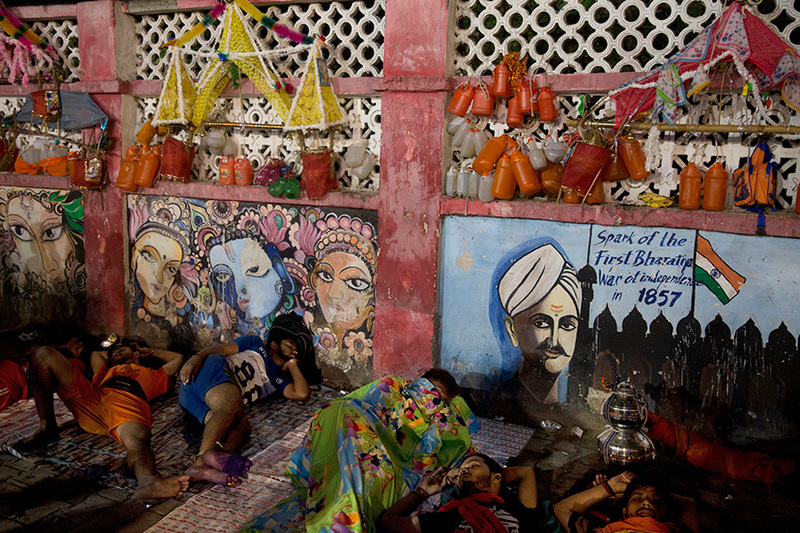 Kanwarias sleep by road side Meerut. 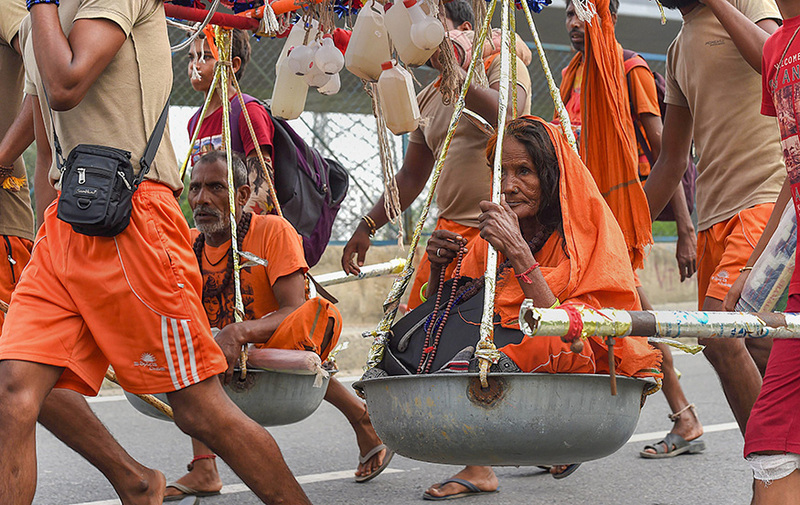 An elderly couple being carried for 'kanwariya' pilgrimage during the holy month of Shrawan, in Haridwar. 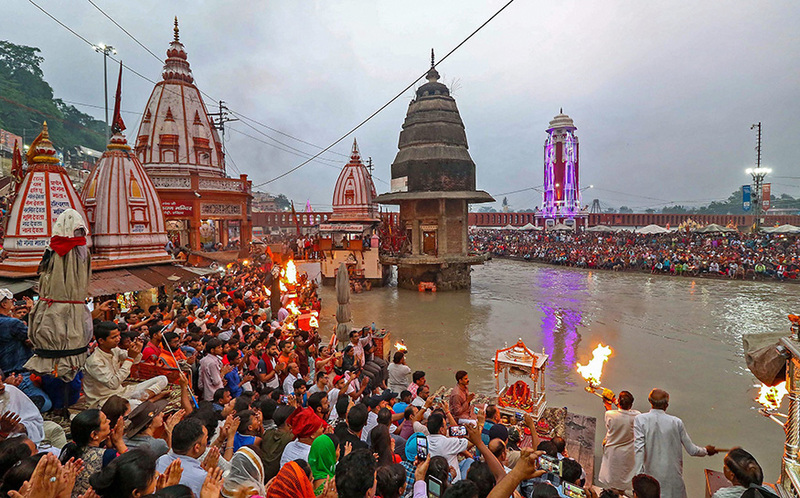 Temple priests and devotees perform aarti on Har Ki Pauri on the bank of River Ganga, in Haridwar. 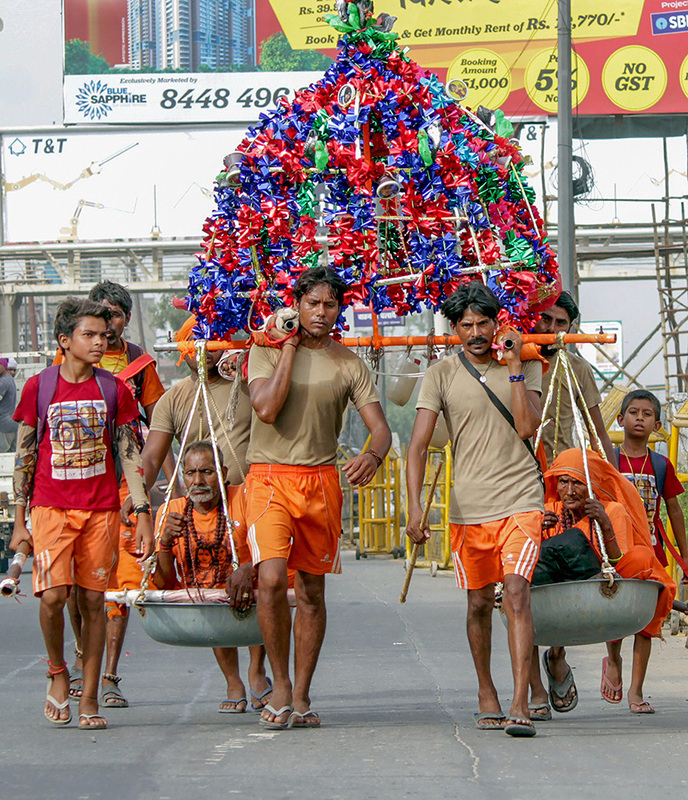 An elderly couple being carried by the 'Kanwariyas' for pilgrimage during the holy month of Shravan.